I listened to a radio talk show (Listen to the Afrikaans podcast) earlier this week discussing what happened in the economy since Donald Trump surprisingly won the US presidential election a week ago. One of the interesting points was that despite all predictions, the US stock market actually responded very positively to Trump’s election. And although markets are volatile and can always surprise you the next day, according to the NYTimes.com: “The message that comes through after a careful reading of the data is this: Some of Mr. Trump’s campaign promises cut in the direction of higher economic growth and corporate profits. He envisions lower taxes on business, fewer regulations of all sorts and a burst of infrastructure spending. That may or may not help the overall economy, but it would definitely enhance the bottom lines of major companies, justifying the buoyant optimism evident in the stock market.” Do read the complete article. It shows that the promise of job creation and economic stimulation results in confidence. One of the listeners calling in to the radio programme asked why a country with high unemployment such as South Africa would export resources such as iron ore, etc. only to import the processed product. His argument was that processing in South Africa would create jobs and stimulate the economy. One tends to agree with him, but of course there are more to the economy. In the short term it would require investment and training and one needs to keep in mind that South Africa is rich in minerals and resources and the export market is of the utmost importance to the economy. Although negating the trade of our resources in the international market place would be irresponsible, I do agree that we need to consider both sides of the story. For instance, by bottling wine in South Africa, the South African wine industry create many more jobs and livelihoods for the communities of the Western Cape. 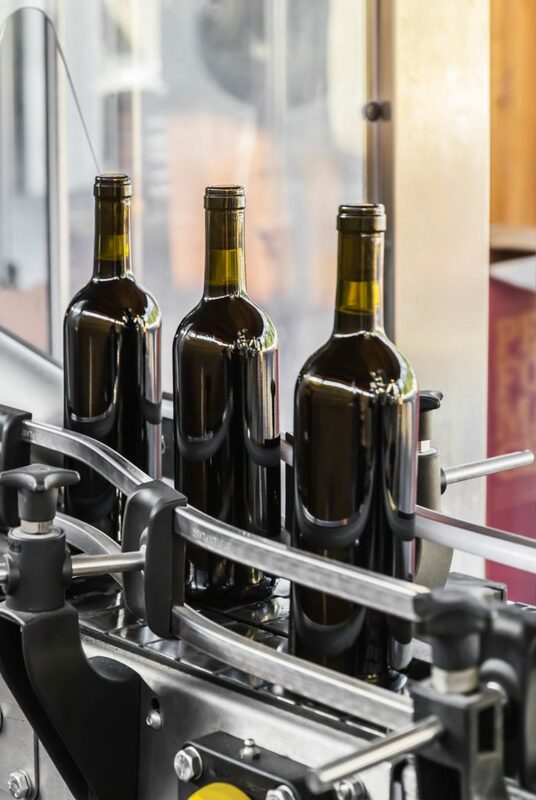 By bottling wine locally, people are employed to cover an extensive certification system, produce and supply packaging material, operate packaging lines and logistics and there are much more involvement on sales and marketing platforms than when wine is exported in bulk to be processed overseas. Of course selling a packaged product demands more investment, but the long term results are to be considered and valued. Selling a product rather than a commodity also results in added value. According to a 2015 article on beveragedaily.com, every 10 million litres of additional wine bottled in South Africa in 2016 should result in an additional direct income of R200 million to the Cape Winelands. Read the article here: South Africa calls for bulk wine withdrawal to ‘create value at origin’ by Ben Bouckley+, 03-Mar-2015. For South Africa to be internationally competitive with packaged wines, however, trade agreements are of the utmost importance. “Q: You would end NAFTA, kill the Pacific Trade Agreement, impose tariffs on some products like 35% on Ford cars made in Mexico. TRUMP: I am all for free trade, but it’s got to be fair. When Ford moves their massive plants to Mexico, we get nothing. I want them to stay in Michigan. TRUMP: That’s true. I want it to be made here. Q: The point is you’re doing just what Ford is – you’re taking advantage of a global trading market. TRUMP: I never dispute that. I just ordered 4,000 television sets from South Korea. I don’t want to order them from South Korea. I don’t think anybody makes television sets in the United States anymore. I talk about it all the time. We don’t make anything anymore. Now you look at Boeing. Boeing’s going over to China. They’re going to build a massive plant because China’s demanding it in order to order airplanes from Boeing.